Unlock Your Potential. Practice with a professional. How To Expand Your Blues Vocabulary, Get A Better Understanding Of Rhythm, Timing And Dynamics With The Right Strategy And Motivation - in Less Than A Month!! 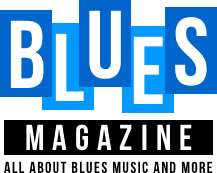 Davide Pannozzo is recognized today as "one of the most interesting voices in the Modern Blues scene" and his interactive GUITARlab is one of the world's most comprehensive libraries of Modern Blues guitar instruction. Sign up and get immediate access to the material! You can study at your own pace 24/7 and you'll be guided by Davide Pannozzo, with personalized feedback on every lesson. You can literally study wherever you want! All you need is an internet connection and then you can access the program from an iPad, iPhone, Android, Mac or PC! Once you’ve enrolled, you will have access to the exclusive Facebook group, where hundreds of students from all over the world exchange tips and ideas, and you can be part of our incredible community! Choose your course and start your journey today!